One of the key differences is around what can be grown and farmed in each region. Because Northern China can be very cold, rich meaty dishes are popular, for example lamb is able to be farmed in the North, but not in the warmth of the South. A key difference of how the weather effects farming is illustrated in the difference in harvesting wheat and rice. Rice takes a lot of effort to produce, farmers need to work outside for longer periods of the year. The most popular type of rice grown is wet rice, this means that part of the rice farming cycle involves flooding the fields, taking advantage of the Southern rainy seasons. Wheat is not able to grow south in the humid, wet weather. Therefore in Northern China wheat is a more predominant part of the diet than rice. This has led to the popularity of wheat noodles. At Hutong we have our signature Dan Dan noodles, these are a classic Sichuan dish made from wheat and is available on our A La Carte menu. We serve this dish traditionally with a very spicy sauce, peanuts, preserved vegetables and minced pork. The name Dan Dan derives from when street vendors carried around noodles on a pole (dan dan) across their shoulders, with baskets of noodles on each end. 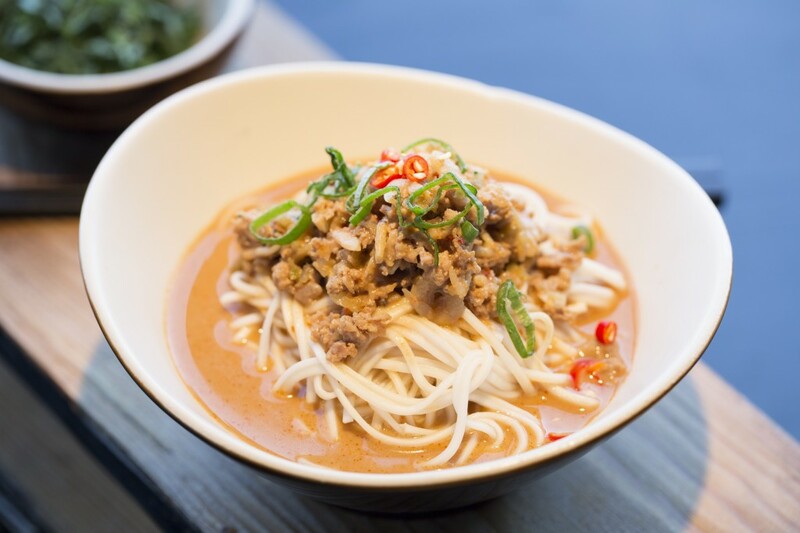 Click here to book a table to try our Dan Dan noodles and other Northern Chinese and Sichuan dishes.